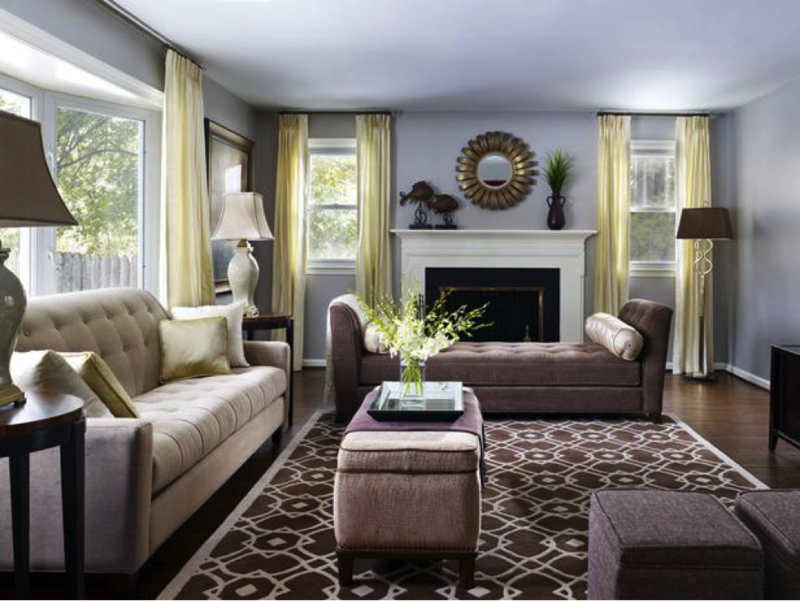 A transitional living room serves many functions inside the home. It’s a space for relaxing, entertaining, and creating memories. That’s why it should work well to do all three. These six contemporary living rooms serve as proof that a transitional space can be both beautiful and functional. 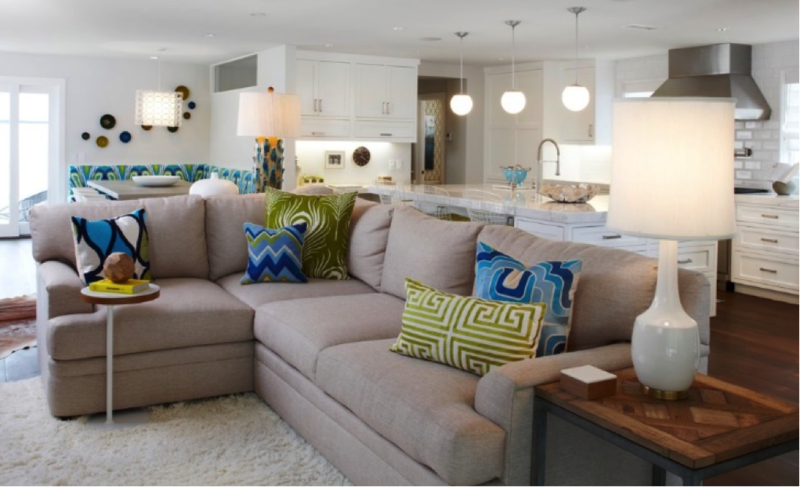 This transitional living room uses bright, patterned pillows and funky wall art to give its neutral color scheme a fresh and energetic look. This room makes the most out of lighting by using natural light from its window, lamps, and light fixtures to illuminate the share space. This is not the living room to have if you have kids or pets but it certainly stands out as one of the most beautiful. The neutral shades of gray, white, and black give this contemporary room a look that transcends time. It’s something that could be updated easily with strategic use of color either in the form of a piece of art, some cool pillows or brightly colored drapes. 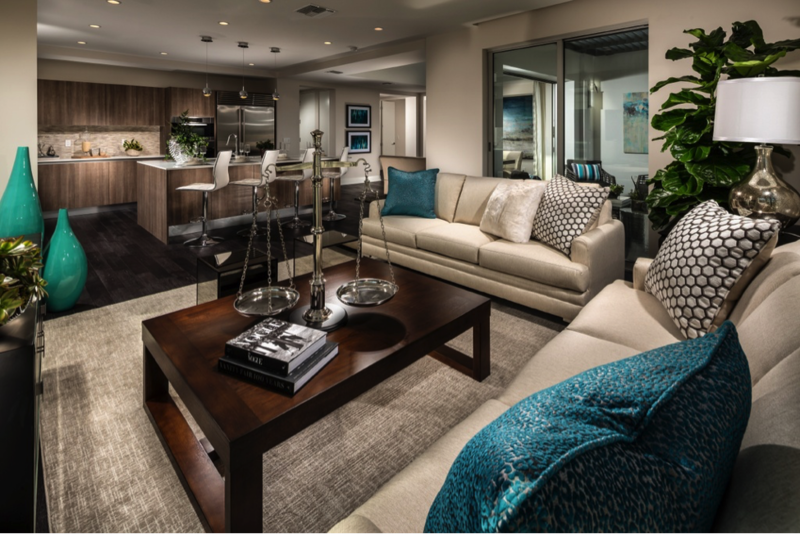 It isn’t a coincidence that there is a scale in this contemporary transitional living room. The level of balance achieved here is what makes the room work. With its dark floors, cabinetry, and coffee table to its neutral colored sofa and brightly colored pillows and vases, this is the type of room that blends into the next with ease. There is a lot going on in this room but it doesn’t take away from its beauty. Instead, the perimeters of the space are cleverly laid out by ‘barriers’ created by the seating the homeowner chose to work with. 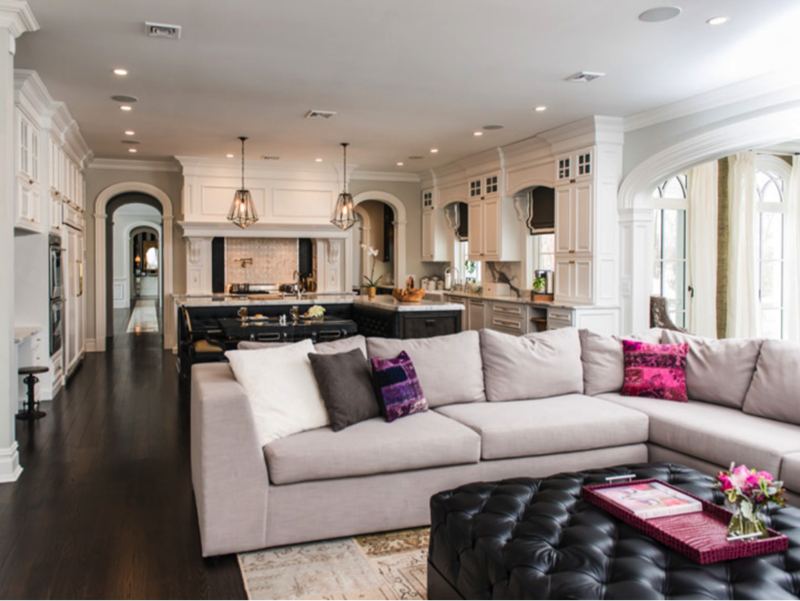 What’s striking about this transitional living room is how the cabinetry and entranceways are ornate and visible from other rooms. The hallway seems to go on forever making the space long, lean, and luxurious. Who would have guessed that colors from the brown family would work so well with steely gray walls? This contemporary living room gets you to embrace unusual color combinations as it gives depth and definition to a relatively small space.